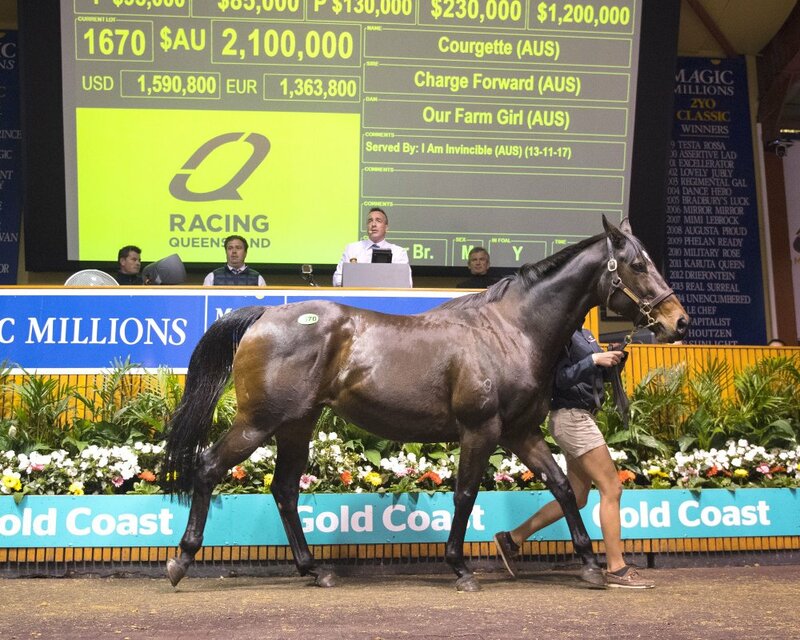 The dam of Golden Slipper winner She Will Reign capped a frenetic 15 minutes of selling this evening when she sold for $2.1 million on Day Three of the Magic Millions Gold Coast National Broodmare Sale. The daughter of Charge Forward was offered as the last lot of the sale in a quality packed supplementary and she duly rounded out the long session as the top seller. 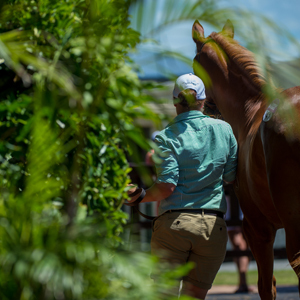 Offered by Yarraman Park Stud, Courgette (Lot 1670) was one of three lots to sell for over $1 million in the closing stages of Day Three to wrap the Book One section of the auction. Tony Bott bidding for E Thoroughbreds outbid Gerry Harvey’s Baramul Stud to secure Courgette at $2.1 million. While Gerry Harvey missed out on buying Courgette he did strike a short time earlier when he went to $1.2 million to buy Oakleigh Plate winner Shamal Wind who was in foal to Redoute’s Choice in her third season at stud. Newgate Farm presented Shamal Wind on behalf of Donna Love and Harvey was thrilled to secure the daughter of champion international sire Dubawi. Three lots earlier the magical million dollar barrier was eclipsed when Tom Magnier placed a successful $1.1 million bid for Marianne. 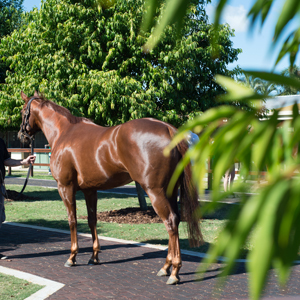 Consigned by Kitchwin Hills as agent, the stakes winner Marianne was presented in the sale ring in foal to Yarraman Park Stud’s super sire I Am Invincible. No decision is yet to be made which stallion will cover the Alexandra Stakes winning daughter of Darci Brahma when she foals this spring. “We’re very lucky at home. 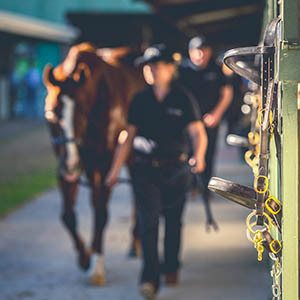 We have an exciting roster at the moment – there’s a few exciting sires amongst them – so we’ll take her home like the rest of them and decide what we’ll do,” Magnier added. By the time Courgette sold as the last lot this evening the sale gross had soared to over $102 million – just shy of last year’s record figure which came courtesy of a larger catalogue. The average price was up on the 2017 sale while the clearance rate was marginally up on last year’s record breaking auction. 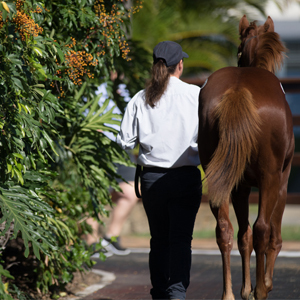 Book Two of the 2018 National Broodmare Sale will be held from 10am (AEST) tomorrow with a great selection of race fillies, maiden mares and broodmares to go under the hammer. 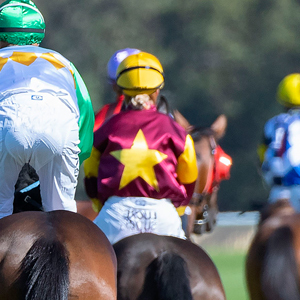 To view a video review of today’s action from the sale ring click here. To check the complete sale results so far and to make an offer on a passed in lot click here.